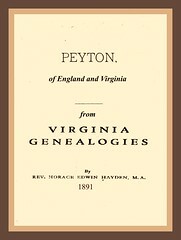 “8. How does NSDAR decide how a patriot’s surname is to be spelled? The next edition of the DAR Patriot Index will include my two ancestors from Virginia, Alexander STINSON Senior, father of the listed Alexander STINSON (c1733-a1813) above, and his son David STINSON, both of Buckingham County, Virginia. I published “So Obscure A Person”, today 13 March 2007. 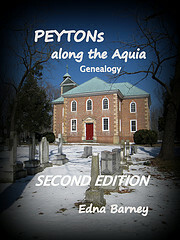 It is a story of a man who wanted too much, and his Virginia descendants, who were the beneficiaries of his quests. 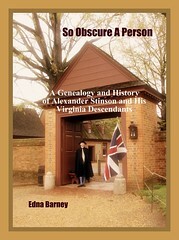 He was ALEXANDER STINSON Senior of Williamsburg and Buckingham County, Virginia and his lifetime spanned almost the entire eighteenth century of Colonial Virginia.